The Government is planning to change the way in which Supported Housing is funded with housing benefit and universal credit set at the level of the local housing allowance and supporting only core housing costs with housing support services being funded separately. At the same time, new locally administered schemes will be introduced to ‘top-up’ the funding that is required to fund housing support. However, this has not found favour in the sector and the Parliamentary Select Committees for Communities & Local Government and Work & Pensions have recommended an alternative approach. This seminar will explain and examine the government’s welfare reforms and their implications for local authorities, housing associations and their tenants. It is designed for people who are not experts in welfare reform, but who understand the basics. It is suitable for councillors, board members, housing managers, tenant representatives, finance staff and others with an interest in welfare reform. The session is accompanied by a very useful hundred-page book that is designed for reference after the session entitled: ‘Welfare Reform 2017: The Implications for Housing’. London: Novotel Hotel, Waterloo – 5th December 2017. North: Novotel Hotel, Leeds – 12th December 2017. The price of the seminar in London is £250 plus Value Added Tax, a total of £300. The price of the seminar in Leeds is £195 plus Value Added Tax, a total of £234. However, there is a £20 discount for people who book a month or more in advance making the cost £230 in London and £175 in Leeds. 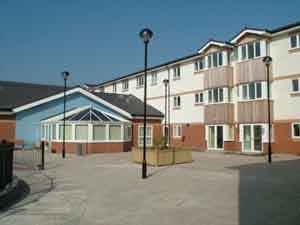 Tandle Court, one of Oldham Council's Extra Care Elderly schemes.